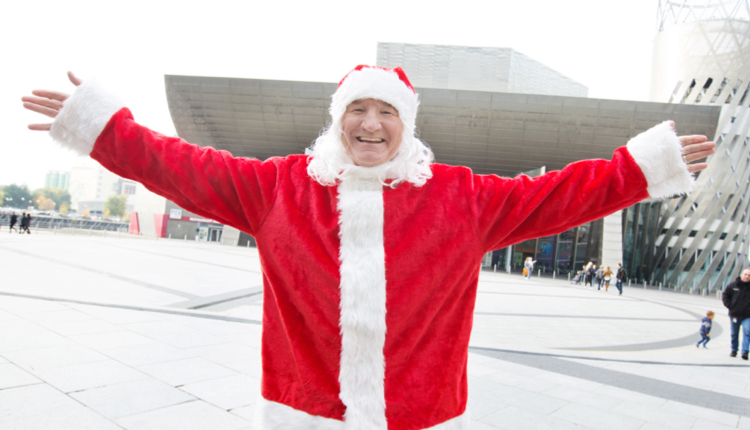 BBC Radio Manchester presenter Mike Sweeney is to hold a Children in Need Extravaganza at The Lowry Theatre on Thursday 6 December. Tony spoke to Mike Sweeney on his BBC Radio Manchester show to share memories of his previous visits to Manchester: “I’ve had some fine old times in Manchester in the early 80s, some really good fun. My memories go back to the really early days back at Piccadilly Radio and BBC Saturday morning Breakfast show. “I like Chinese food and always pop into Manchester’s China Town when here. There are some great clubs and theatres – I was recently up at the Opera House and what an absolutely stunning venue. John Thomson is also confirmed to be on the bill at Mike Sweeney’s Children in Need Extravaganza. The Salford-born star of The Fast Show and Cold Feet John will be performing some of his impersonations as well as playing the drums alongside guitarist and Early Doors actor Phil Mealey. Phil will be accompanying singer Liv Mae, who is his daughter. This year’s event takes place in the main auditorium at The Lowry and will be broadcast on BBC Radio Manchester on Friday 7 December from 9am. Well done and good luck to Mike Sweeney, one of Britain’s truly great broadcasters. Roy, you appear to have missed a paragraph from this report. The current second paragraph says “Tony….” but Tony who??? And, apart from being Evie Mae’s dad, who’s Phil?